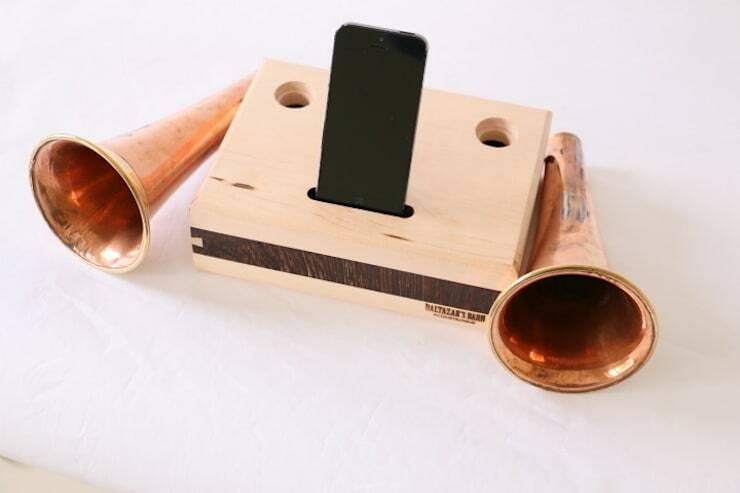 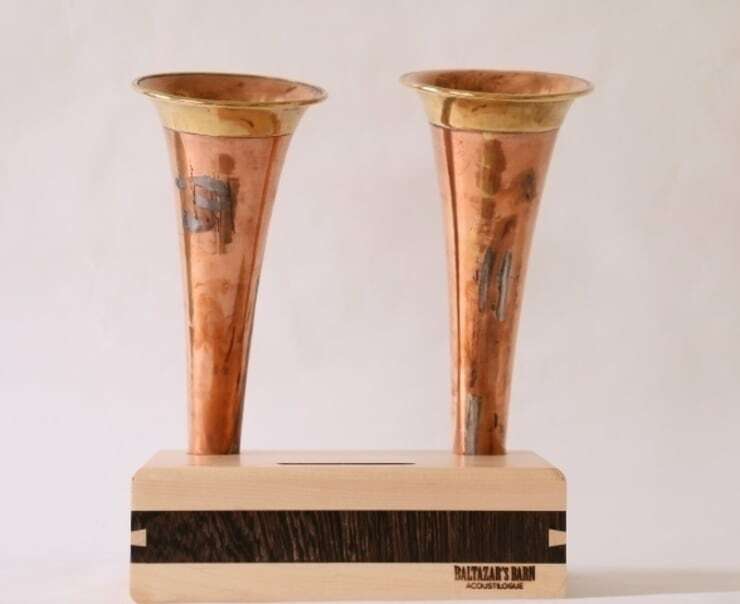 A gorgeous double horn on a soundbox made of Maple and Wengé. 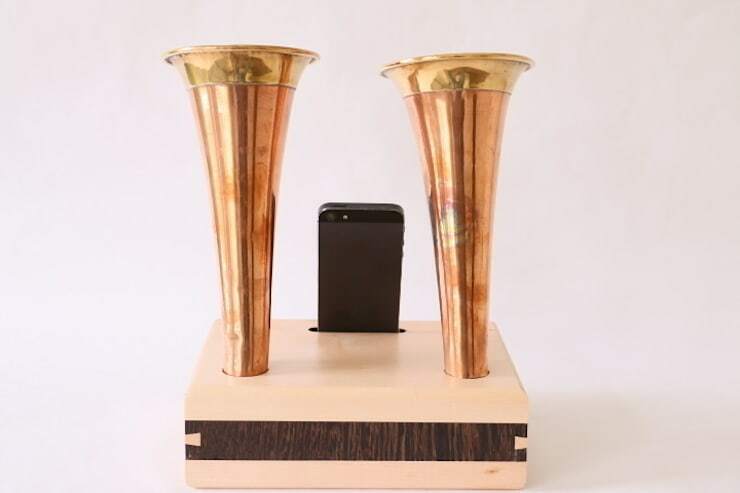 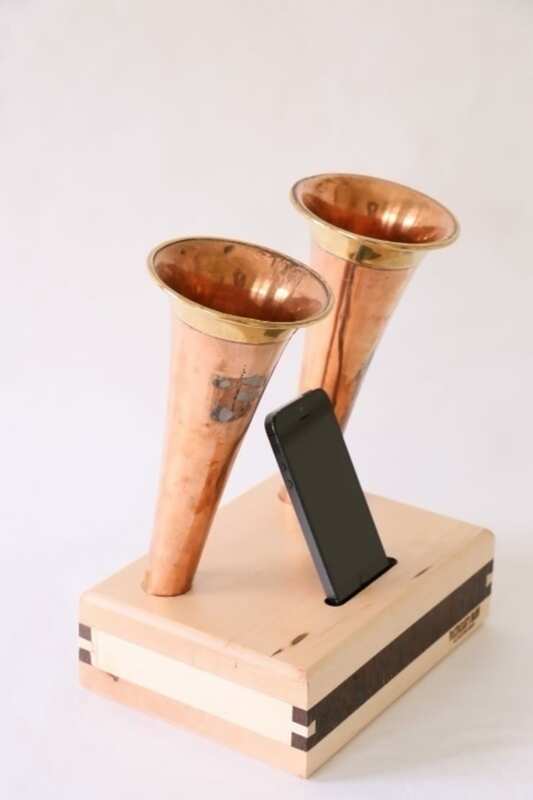 With double horn, it produces kind of passive stereo sound and of course more volume than a single horn Acoustilogues. 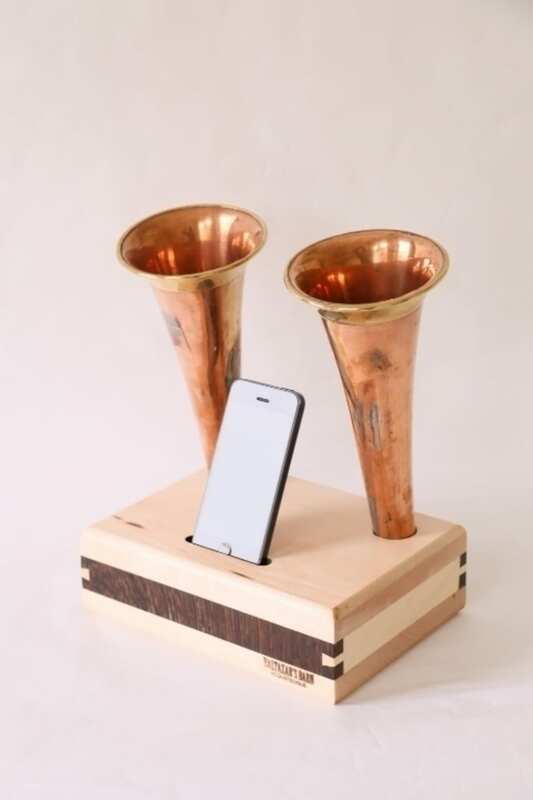 Suitable for iphone 4&5 and the S versions.